A proposed scheme would have scrapped upfront relief, worth an estimated £21bn to savers, but made pension pot withdrawals tax free. An alternative option was to set a flat rate of tax relief, which may have been unpopular with higher earners. Labour's shadow chancellor John McDonnell said Mr Osborne was "yet again ducking a big decision". Campaigners said he had missed a "huge opportunity" to tackle pension inequality and help the lower paid. But others said he was right to protect existing reliefs, and that radical reforms would have created new risks and imposed new administrative burdens on employers. Mr Osborne had been expected to unveil changes in the Budget on 16 March, but a Treasury source said it was "not the right time" to make changes to pension tax relief. The relief allows some of a person's earnings that would have been taken by government in tax to go into their pension instead. Under the current system, pension savers receive tax relief at the same rate as their income tax - meaning basic rate taxpayers receive relief at 20% and higher rate taxpayers at 40 or 45%. The proposal to introduce arrangements similar to an Isa, with no tax relief on contributions but with withdrawals free of tax, would have given a significant short-term boost to the government at the expense of lower tax revenue later. An alternative option considered by the Treasury was for flat rate relief, which would have benefited basic rate taxpayers and cut reliefs for higher earners. So a policy which hadn't been announced will now not be announced. And the big winners of this non-announcement will be wealthy people. At the moment not only do they earn more, they also get a proportionately bigger tax top-up from the government when they save for their retirement. If the chancellor had scrapped the tax relief entirely on pensions savings and created instead a new pensions Isa, that would have cost the better off (40p and 45p taxpayers) billions of pounds collectively. The other proposal which had been reported was to create a new pension tax relief rate of 25p or even 33p. That would have punished higher earners as well but not by as much as the Isa-style option. It would also have encouraged saving for retirement by the less well off (20p taxpayers) by, in effect, giving a pound for every four they saved. Mick McAteer, co-director of the Financial Inclusion Centre, told BBC Radio 4's Today programme he was "very disappointed" that the government had stepped away from tackling the "clear inequality in our pension system". Dot Gibson, general secretary of the National Pensioners Convention, Britain's biggest pensioner organisation, said: "The chancellor has wasted a golden opportunity to not only reform the unfair system of pension tax relief, but at the same time solve the funding crisis in social care." Conservative MP Mark Garnier, who sits on the Treasury select committee, acknowledged that the present system "massively favours those people who are earning more money" and told Today he favoured "a fundamental rehash of the pension system". However, he said a flat rate relief would have been "quite difficult to administer" and more thought should be given to what reforms would work best. Mr McDonnell said the chancellor was "putting the interests of his party ahead of those of our country". Former Liberal Democrat pensions minister Steve Webb, who now works in the pensions industry, said Mr Osborne had been right to resist changes. He called for a "period of stability" in pensions policy in the interest of encouraging people to save for the long term. Savers pay no tax on money they put into a pension but they do pay tax on what they take out each year beyond the personal allowance. The government also allows pensioners to withdraw 25% of their pot tax free as a lump sum. The way the relief works is that some of a person's earnings that would have been taken by government in tax can be contributed to their pension instead. Pension savers receive tax relief at the highest rate of income tax they pay. This means that the cost of a £10,000 pension contribution would, in effect, be £8,000 for a basic rate taxpayer because otherwise £2,000 would have gone in tax. For a 40% taxpayer the saving would be £4,000, and £4,500 for those at the 45% rate. So present arrangements favour the better off. The amount anyone can save into a pension and receive tax relief on is capped at £40,000 annually and £1.25m in their lifetime. Mr Osborne was warned ahead of the Budget that introducing Isa-style arrangements could prompt a mass withdrawal from pension funds. Conservative MPs had also become concerned about the impact on their constituents of any move to flat rate relief, which would have reduced breaks for higher rate taxpayers. BBC political correspondent Eleanor Garnier said Mr Osborne's decision was also a recognition of how fragile the EU referendum campaign is and removed the risk of upsetting voters ahead of the vote on 23 June. 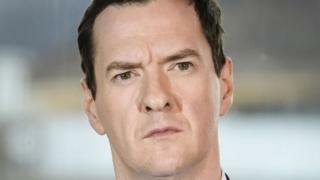 An ally of the chancellor told the Times that Mr Osborne did not want to put people off saving. "Now isn't the right time, with uncertainty in the global economy and reforms such as auto-enrolment still bedding in, to turn things on their head. The prospect of radical reform had also been opposed by the pensions industry. Changes to the pensions system in recent years have included automatic enrolment into workplace pensions in 2012, and people aged 55 and over being allowed to take their retirement pots how they want rather than being required to buy an annuity retirement income - introduced in 2015.